Whilst a young woman, at a pivotal time in her life, Fiona C. Odgren met George. She quickly realized that not only was he to become her spiritual mentor, but also her lifelong partner. During their budding relationship, George placed many reads in front of her and amongst them was “The Mahatma Letters”. Life would never be the same again. 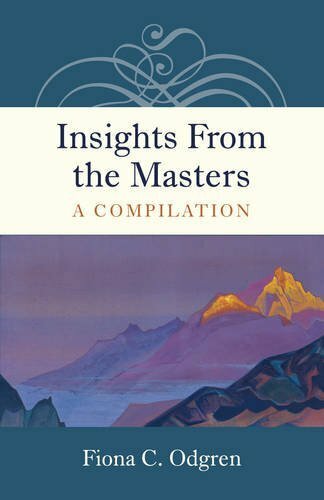 Insights From the Masters is a compilation of “The Mahatma Letters”, a remarkable correspondence that took place between two Masters, Koot Humi and Morya, and two influential British men. The Letters are currently held in the British Library, London, UK. With this compilation the author has taken what she considers to be the most interesting themes regarding esoteric knowledge presented by the Masters and made their teachings more accessible to the public. The Letters contain answers on subjects relating to Birth and Death, truth on After-Life and Reincarnation, Occult Science and Phenomena, Karma and Dharma etc. and all while portraying the unconditional love and humour of these advanced souls. The subjects covered are extensive and cover most of the burning questions of today’s true seeker.